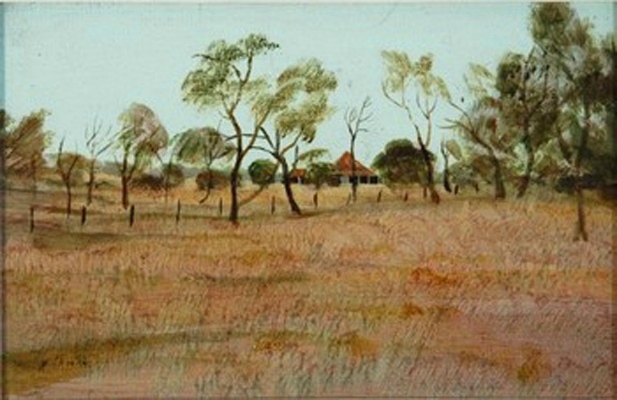 Ray Austin Crooke was born in 1922, Melbourne Victoria. Comparisons to Gauguin are inevitable, with the similarity of subject matter, sensitivity to colour and pervading sense of the exotic. 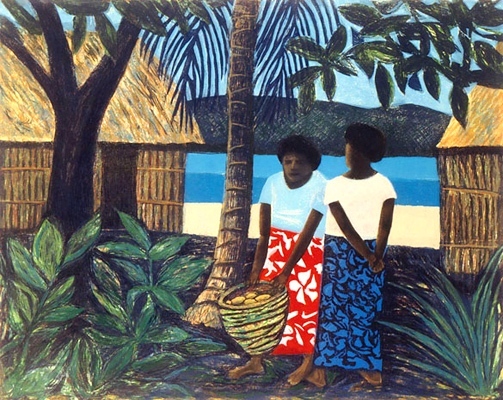 Crooke’s use of colour is specific to the South Pacific, with a flat application of paint that highlights the peace and unspoilt beauty of the islands. 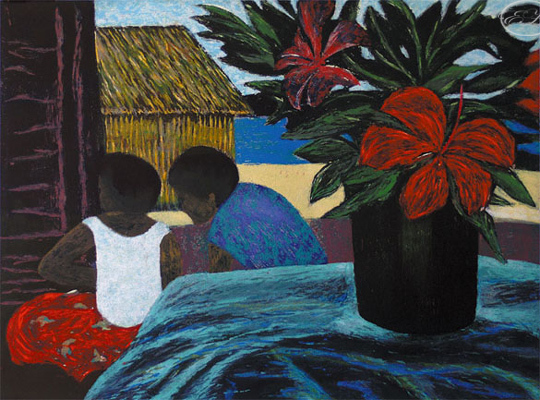 His work displays certain characteristic decorative aspects: ultramarine sea, sandy beaches, islanders in repose wearing brightly coloured sarongs and vests, lush tropical vegetation and big colourful flowers. Crooke does not aim to capture anything beyond these tranquil moments and the natural beauty of the traditional island way of life. This simplicity is also the strength of the works. In 1969, Crooke won The Archibald Prize for his Portrait of George Johnston. 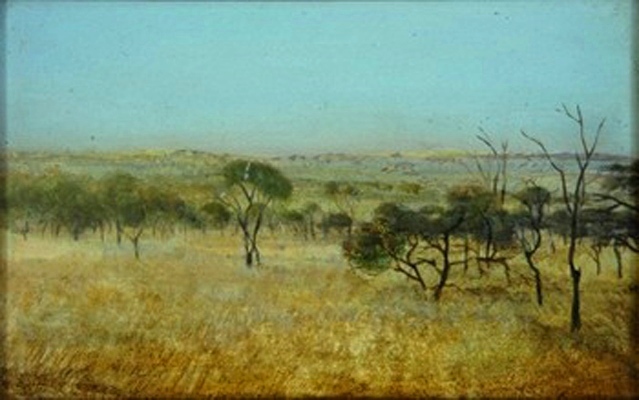 Collections include National Gallery of Australia, Canberra, Art Gallery of New South Wales, Sydney, National Gallery of Victoria – Melbourne, Queensland Art Gallery – Brisbane, Art Gallery of Western Australia Perth, Art Gallery of South Australia Adelaide, Tasmanian Museum and Art Gallery, Hobart Newcastle Regional Art Gallery, University Art Museum, University of Queensland, Brisbane; Reserve Bank of Australia, Fairfax Collection Vatican Collection, Rome as well as numerous private collections in Australia and overseas. 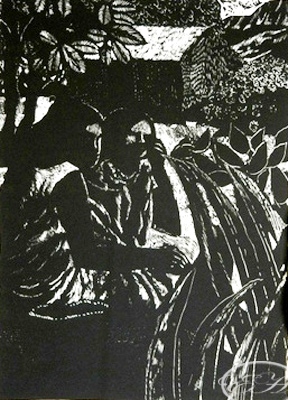 Ray Crooke silkscreen, collagraph, etchings, woodcut, lino cut art works at Melbourne Sydney affordable art fair May 2011.